Stay focused and productive on your business admin days! 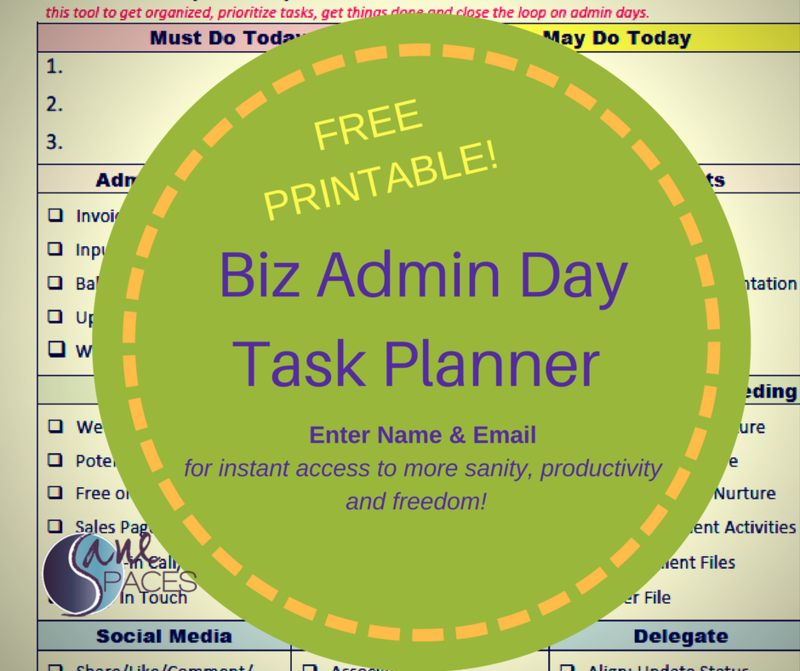 What is a Business Admin Day? If you've ever wondered what you 'should be' doing on the back end of your business, this Business Admin Task Checklist tool is for you. This comprehensive Task Checklist will help you get more focused, prioritize what's most compelling to complete, and stay productive on the days you work ON your business. When your long-term business success (survival) depends upon your ability to put plans into action, you need to be hyper-productive! This free Business Admin Task Checklist can be an essential planning tool to get focused and stay productive. u need to consolidate all your thoughts in one place each quarter! All you need to do is print one out each time you sit down to work on your business. It will help you focus on the different admin areas that require your time and attention. This checklist can also help you delegate tasks to support people, virtual assistants, or team members. Use it weekly to plan and prioritize your tasks to get you closer to reaching your business goals. Please enter your Name and Email address for your free printable checklist!